On Valentine's Day 2019, Carers Trust is celebrating the 5th anniversary of its partnership with Mecca Bingo and Grosvenor Casinos. In 5 years, the partnership raised over £2 million to support unpaid carers across the country. 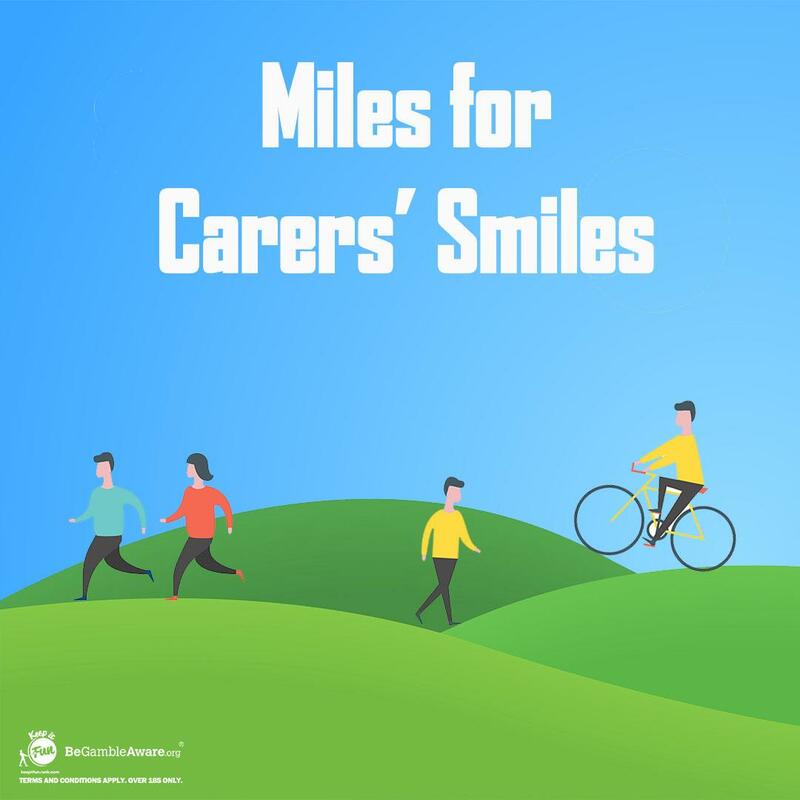 To celebrate this huge milestone, we would like to invite all Mecca Bingo and Grosvenor Casinos employees and customers, as well as all Rank staff, to take part in our Miles for Carers Smiles Challenge: collectively walking/running/cycling 10,000 miles over the course of 5 weeks. This is the number of unpaid carers that have been supported through the partnership with Mecca Bingo and Grosvenor Casino. By logging a mile for every single one of them, we want to show that we care and that we want to keep making a difference to their lives. Funds raised will go towards our Carers Funds, supporting unpaid carers with small grants to help them in their caring role, as well as supporting them in crisis situations. £15 could provide a carer with a place at a local carers service, where they can attend a session and take part in a range of activities from arts and crafts to sports. £50 could pay for three return journeys for an older carer to visit her husband who was moved into a specialist dementia residential home after she had cared for him at home for ten years. £100 could give peace of mind to an anxious carer by providing five counselling sessions. £250 could pay for a replacement washing machine saving a carer valuable time and energy spent on launderette visits.